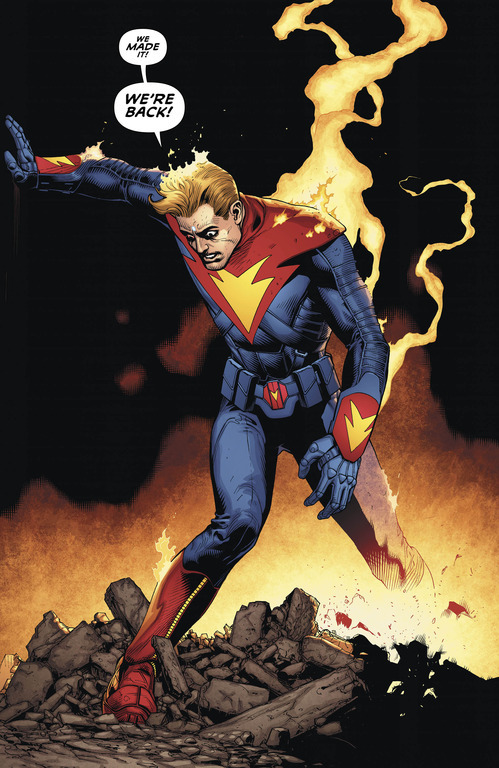 Given that Superman Beyond is one of my favorite Morrison comics ever, it's no surprise that I'm looking forward to just what this dreaded comic, that's appeared in the majority of The Multiversity's previous chapters as a corrupting object, will offer. If my eyes turn red and I start attacking all of my loved ones, you'll know who to blame. One more thing is that Ultra Comics was inspired by the 1970s head comics. 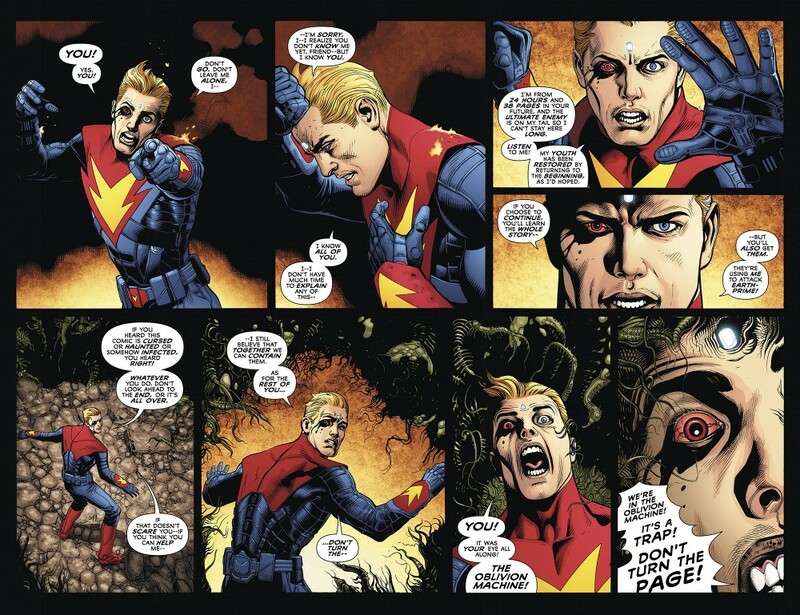 I don’t know if you’ve ever read Jim Starlin’s Warlock or Captain Marvel. I grew up on that. Back in the day, people like Starlin would come back from Vietnam and did these fantastic allegorical kind of Pilgrim’s Progress-style superhero comics. So I think Ultra Comics was my and Doug Mahnke’s attempt to almost create one of those cosmic comics of the ‘70s. Everything is allegorical. Everything is a metaphor. Everything is some psychological state. I will mention that, because those guys were a big inspiration for this particular issue. 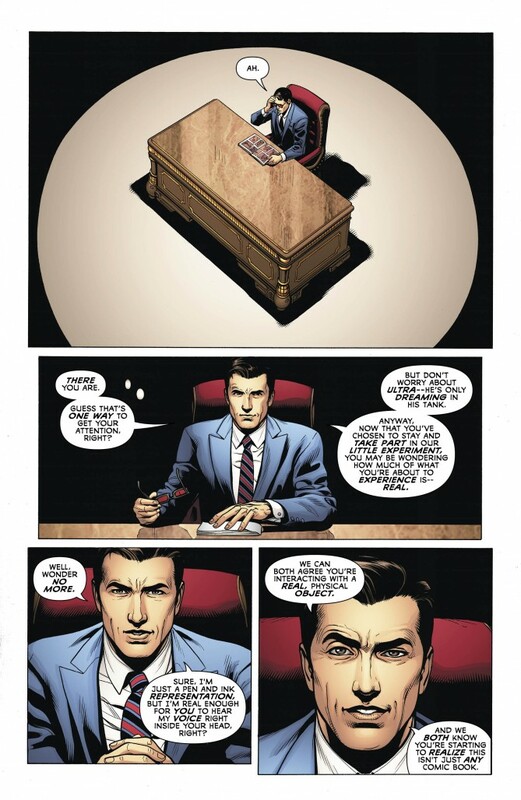 The penultimate chapter of the greatest adventure in DC’s history is here! 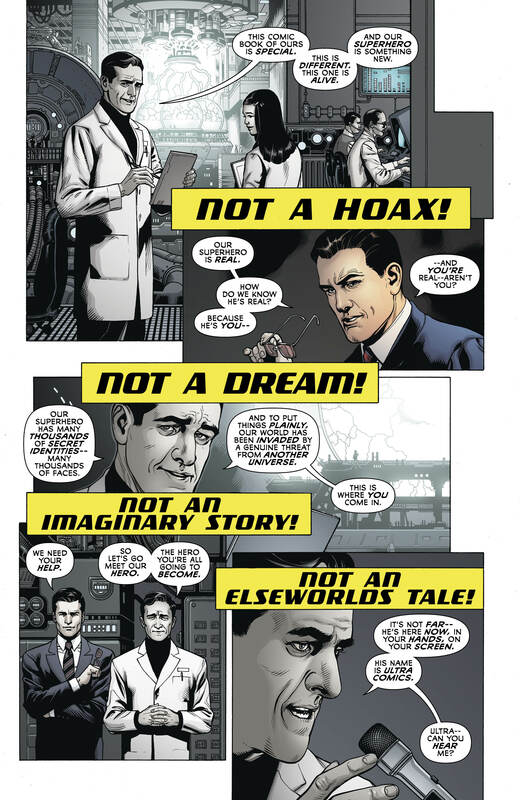 The acclaimed FINAL CRISIS team of Grant Morrison and Doug Mahnke reunite for a story so big it could only take place in the real world – that’s right, Earth-33 is back! 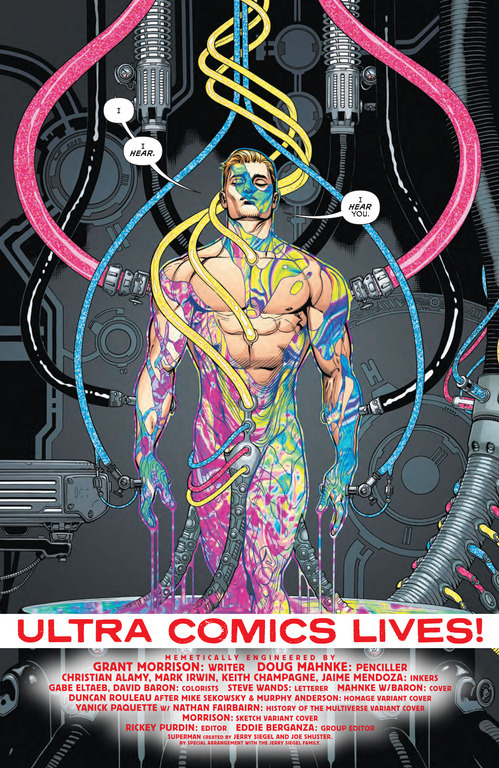 With the Multiverse under attack, a team of scientists create one final savior to take on the otherworldly threat…and its name is Ultra Comics! Literally held in your hands, one being will attempt to halt the annihilation of creation – and you, the reader, will have a front-row seat as you become an integral part of the resistance! It’s another exciting, experimental story told by two of today’s top creators! You won’t want to miss this exciting issue which acts as chapter eight of THE MULTIVERSITY storyline.